“G” is for “Gung Hay Fat Choi”–Happy (Chinese) New Year! 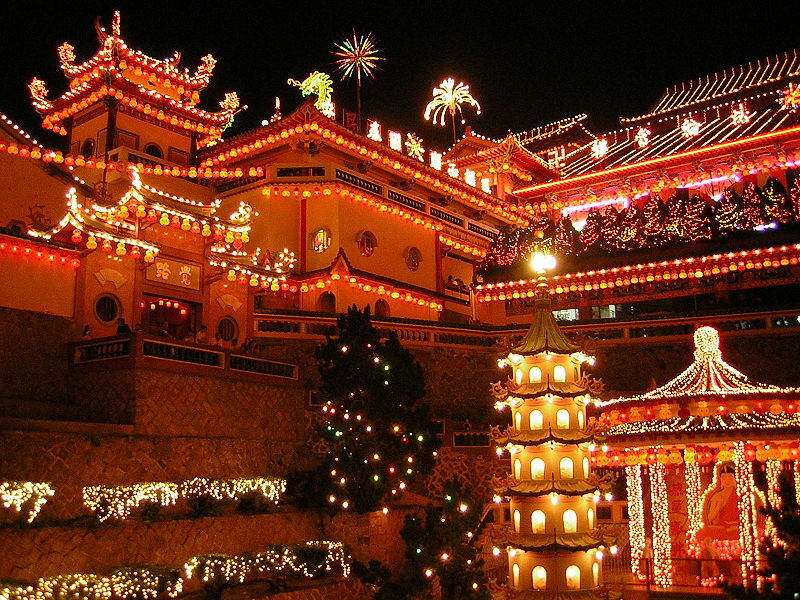 As Chinese Americans, my family generally made much more of a to-do over the Lunar New Year, which could fall in either January or February. I remember bright red envelopes with a few dollars tucked inside–something every kid looked forward to receiving! ; the tantalizing smells of star anise, garlic, and hoi-sin wafting from Chinese restaurants; ruddy-skinned barbecued ducks and chickens hanging from windows of Chinatown restaurants and “delis”; and the color, noise, and smoke of the lion dances. A huge crowd always gathered, and it was often a challenge to find a good place to stand, especially if you were a child. But once the show started, you could count on seeing at least some of the action: the lions were pretty much in constant motion, rearing, strutting, catching the dangling offerings of money, lettuce, and mandarin oranges in their huge mouths and tossing them towards the spectators. And there were often sword dancers and drummers performing–adding even more excitement.I always brought a camera, and once, when I was about eleven, a lion dancer was especially obliging and held his position long enough for me to get an excellent shot of him, rearing the lion’s great head up to the sky. The climax usually came, when someone lit a roll of firecrackers–thin scarlet filaments that writhed and popped like furious snakes, once ignited–and tossed them into the street. The air would turn blue with smoke, while the rapid-fire explosions reached an almost deafening crescendo. 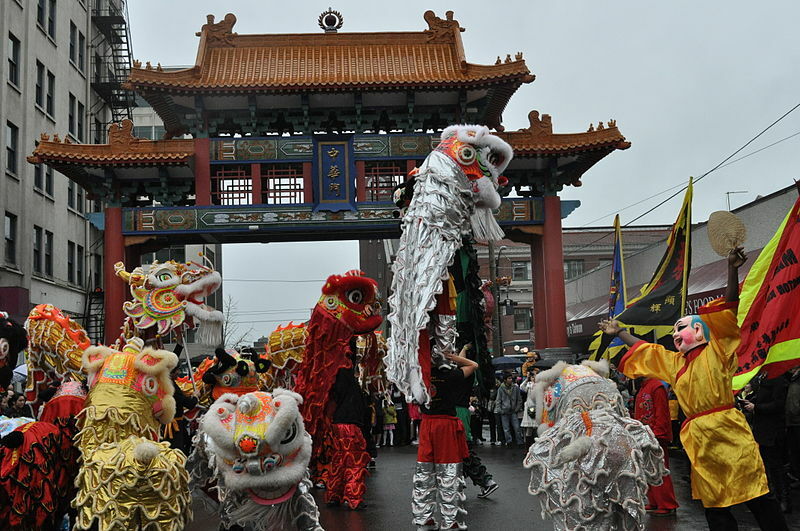 At which point, hands clapped over our ears, we’d start heading back towards wherever we’d parked the car, while the lion dance troupe moved on, to start the spectacle over in another area of Chinatown. It’s been a while since I last saw a lion dance in person, having less tolerance for noise, crowds, and smoke than I used to. But the sight of a lion dance costume can fill me with nostalgia. Maybe someday . . .
May good fortune be yours in the Year of the Snake!